85 Mage - Kaida - Azuremyst - Farming Alt. Recently moved to Silvermoon and I have been using WOWProgress to find a respectable guild. Benefactor/Sponsor: Sadly, I know no-one in the guild, I hope this does not go against me. 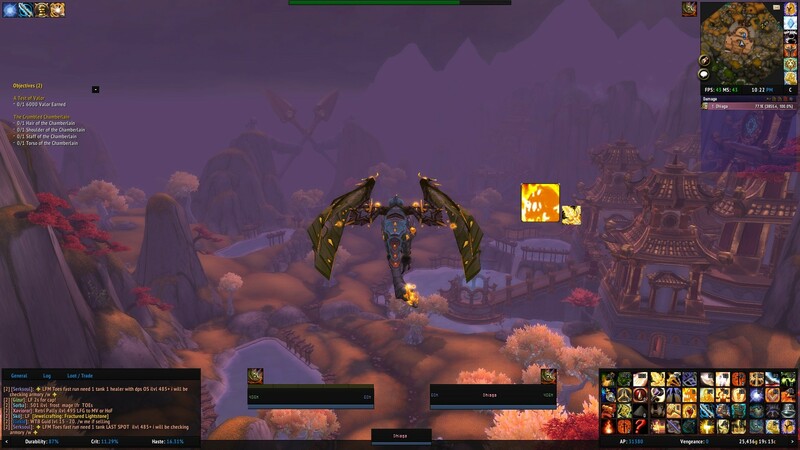 I've been playing World of Warcraft since Vanilla (BWL Release). My original character is my warrior, which originated from Moonglade, under the name of Orisis, in a guild called Honorbound. For 2 years I rotated with another tank called Aldokar as MT. Vanilla progression was Full Molten Core, whilst it was current, Blackwing Lair until there was a nerf on Nefarian, and then Maexxna, Patchwerk and Grobulus in Naxx Unnerfed. Going onto The Burning Crusade I played upto (but not including SP) During SSC, TK, GL, Magtheridon, I was Main Tank. We managed to complete most content whilst it was current (This was on my Warrior) This was as I moved to University and made the wise choice of unsubscribing to World of Warcraft and various other games. During the entire WOLK expansion, I was in university studies, thus I did not play WOLK whilst it was current. I made my return to World of Warcraft when Cataclysm was released and gosh I had a lot to catch up on. As I had to catch up on a lot, I made a new character, thus my paladin was born. I played all of Cataclysm whilst current on both Heroic and Normal Modes, ending up with Dragon Soul on a full 8/8 heroic. For Dragon Soul I was the co-owner of a Guild on Azuremyst. Guild Leader was Daemonic - Moonkin. We spent most of our nights theory crafting bosses for all classes to try and optimise the raid group to the best of our ability. This enabled us to clear the full heroic clears. If there was something one person missed out on, the other person would be able to suggest this. During my free time, I clear these raids with friends for fun and time passing. On the release on Mists of Pandaria, I had a project officer with my current business to work from Germany. Due to this, I had to take some inactivity from the game only playing on weekends between commutes to and from Germany. during my weekends, I cleared all LFR's and partaked in some weekend Alt-Raids with Azuremyst Champions. Some heroic encounters in MSV were covered but generally normal clears only. Due to inactivity, I was unable to resume trial with Azuremyst Champions as the roster was bloated and thus an additional raider would only bloat this more. At the moment, my downside is I have 0/12 TOT Progression, but I know I am able to offer a competitive and competent personality to your roster and work extremely hard to meet raiding requirements. I made the move to Silvermoon for a few reasons. I looked at the progression of the guild on WOW Progress and seen that you are not yet 12/12. This inspired me to apply as I do not want to be 'boosted' I want to help progress with the guild. I like to know I've achieved something substantial. The milestone of reaching the end and knowing I helped makes me happy and proud for the team as a unit. I would like a friendly atmosphere with like-minded people who are able to play well together and support one and other. I want to be able to enjoy a focused raiding environment whilst a sociable atmosphere is maintained. Do you have mumble with a working microphone? If no, can you get it? As the most vital tool in any raiders career / journey, yes. I have a decent headset with little / no feedback for clear speaking. Vent/Mumble/TS/Skype all available. What sort of raider am I? I'm a mature, hard working, dedicated, competent and competitive raider. I do my absolute best to make sure I'm always in the right place at the right time. I have all VoIP applications installed on my machine and ready to use at a moments notice when required. I like to be a perfectionist, as such I am always open to constructive criticism if it makes me, as a player (and a person) better. I am always open to offer feedback when requested too. With past heroic raid leader experience in a 10 man environment, I'm happy to speak up when requested / required to help out. Never afraid to ask questions. No such thing as a stupid question, and I'd rather ask a question than wipe on a pull because I'm not 100% aware of what is happening. As a retribution paladin, my primary role is to DPS. My strength as a ret is insane BURST dps. Generally the time to use this is at the start of a fight. However, occasionally burst requirements can depend on the boss as there may be phases of a boss encounter where bosses take more damage. This is when burst should be utilised to ensure maximum raid efficiency. I enjoy raiding in a tight nit team working well together. This, in my opinion, is the key to success. I don't mind loot being passed to other raiders as loot should be distributed to optimise the raid performance, not just individual performance. If loot was passed to me but, within the 2 hour boundary it was noted someone else best suited the loot, I would be happy to trade the loot. The gear I select is plate gear. This is the primary proficiency for any paladin over level 40. I use many website, mmo-champion forums, EJ Forums for theorycrafting and testing, SimCraft, AskMrRobot with varying stat weights to perfect my reforging. Along with AskMrRobot, I utilisie wowreforge as sometimes they both show different reforges and I see which is best suited and close to the min-maxxing I need to achieve. As a Draenai, I get a passive 1% hit and this has to be adjusted on 3rd Party Reforging sites to be able get accurate reforges. For all new boss encounters I have yet to see or try, I try and utilise a mixture of FatBoss Video Guides, Icy Veins for in-depth details on strategies for raid leaders and roles alike. I also like to use Vox-Mortalis guides, they tend to be around 20-30 minute videos with an insane amount of information available. If raid finder is available for bosses, I tend to try out the bosses to understand the basic mechanics of a boss fight and then do additional research and class specific research. There may be times I need to macro specific abilities to help the raid out such as Hand Of Sacrifice or Hand of Freedom. 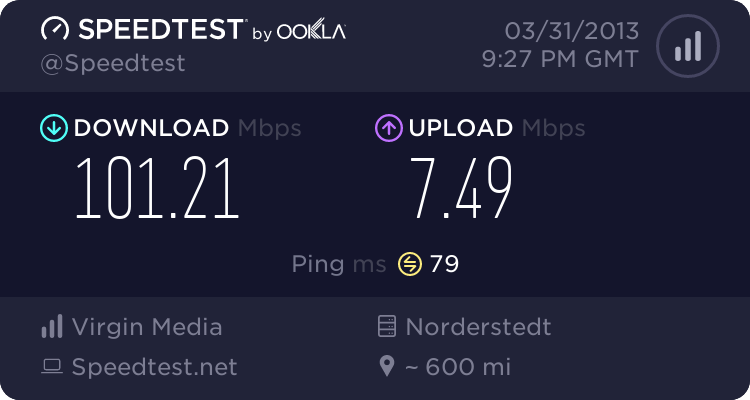 I have a stable connection, with 120Mbps down and 10Mbps up. CLCRet - Assists in the Basic Ret Rotation - Not to always be followed, but it's a good guideline at times. Skada - Used as a Threatmeter, DPS Meter, Damage Taken and Healing Meter. Phoenix Style - Post-Boss Review of who did what, where unnecessary damage was taken and who by. RSC - RaidSlackCheck - Used to show me who doesn't have BOK/BOM so I know when to buff. Made use of the Synapse Strings on my Gloves every 60 seconds. Made use of Iron Belly Wok Trinket on CD too. We used Hero @ Start of Phase 3 which I saved CD's for to get maximum benefit. Most of my WOW Career I have been a tank and in DS and MOP so far I have been MDPS. I think I have added everything above. I look forward to hearing from you - If you have any concerns, I am very happy to discuss in game or on Skype/Vent/Ts. And lets talk a bit about Paladin, I know ur a retribution paladin ur dps , But often a tank needs like a Hand of Sacrifice , means u bubbling or etc to soak the dmg , or u need to HoP someone to prevent dmg , HoS someone or urself , do u feel comfortable on using all spells u ve ? My MS is retri my OS is Holy , Im using every damn spell ive , My instant Flash of Light to keep raiders alife , HoP when needed HoS Hosalvation etc , LoH when its rly needed , ive every spell on cd. I've just been accepted into Deadly Intent, but I shall elaborate the answers you've asked. I'm not expertise capped. Not logged out since my latest reforge with new helm. I logged out after gemming, to make sure I got correct reforges on Wowreforge. Appreciate the comment regarding WOL, I've not got anything else recent. Regarding Hand of *** Spells, I have mouse over macros set up with them all for different scenarios so I can respond within 0.5 seconds of something happening. This ensure I am able to play as effectively as possible without having to change targets. I also make solid use of Emancipate which works hand in hand with HOF. After discussing this with you further in game, you understand I am now trialing with Deadly Intent thus I shall be withdrawing this application at this time. Thank you for your response and I hope you all the best in T15 Normals and Heroic Progression.